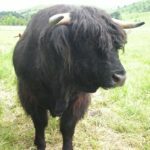 Fullblood Highland cattle have a long and distinguished ancestry in western Scotland and far-flung parts of the world. 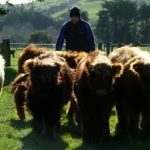 An old, distinctive, and well known cattle breed, the Highlander has remained largely unchanged over the centuries. 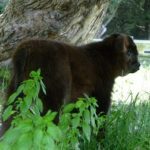 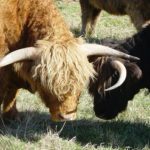 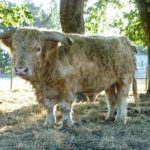 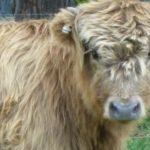 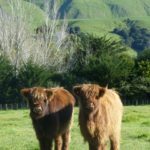 Written records go back to the 18th century and the Highland Cattle Herd Book, first published in 1885, lists Fullblood pedigrees since that time. 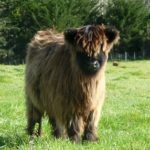 The breed is exceptionally hardy with a natural and unique ability to convert poor grazing efficiently. 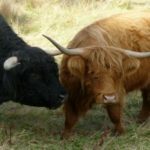 On the vast areas of poor mountain land of the Scottish highlands with high annual rainfall and bitter winds, Highland cattle thrive and breed where no other cattle could exist. 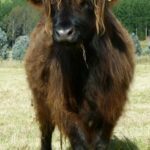 They are also remarkable for their longevity: many Highland cows continue to breed to ages in excess of eighteen years having borne fifteen calves. 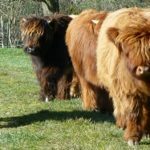 They are great mothers.